I didn't know Oren Miller. Oren died a few months before I would have had a chance to meet him. Oren was a blogger, and a father, and many other things that I don't know about because I never got to know him. 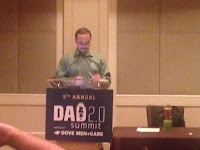 Last weekend I went to the Dad 2.0 Summit, a conference for bloggers and brands to come together and talk about "the changing voice and perception of modern fatherhood." I was there because I was introduced to a Facebook group of dad bloggers. The group was founded by Oren as a place were these dads could come together for support. There's a lot of discussion about writing, about growing an audience, about the mysteries of SEO (search engine optimization). Guys share their writing and comment on each other's posts. There's also a lot of personal support. There are parenting discussions. It's also a place where guys can vent about family or work or anything else they can't express to people in other parts of their lives. And it's not just complaining about things, there's real raw emotion there at times, and the support they get from the group is inspiring. 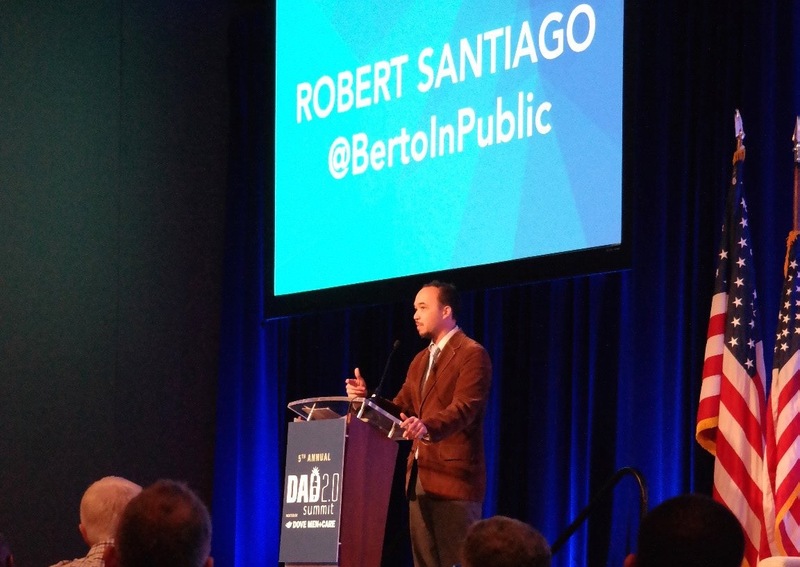 I attended Dad 2.0 as a recipient of a Miller Grant, a scholarship to help writers attend the conference. Without the grant I would have been hard pressed to attend. Our family lives on one income, so it's a luxury for a stay at home dad like me to lay out money to attend a writing conference. I was also selected to read a piece I had written as part of the conference's Blogger Spotlight. It was a fantastic experience for someone like me who is still almost wholly unknown in the blogging world. It was like fantasy camp for bloggers. Having a chance to meet with other writers, to make connections with brands, and to get mentoring from PR people and industry insiders would have been worth more than what I would have paid if I had not received the grant. Being there for free was like winning a sweepstakes. Just attending that weekend and being chosen to read doubled my social media engagements and followers. It's meant getting retweets and shares from people with much greater online presence than I have. It's also meant deeper connections with a large group of dads I had only known through avatars and online comments. It was chance to not only grow as a blogger, but to extend a network of friendship and parenting support throughout the country (and Canada, Hi Canada!). None of this would have happened if not for Oren Miller. If not for his idea of a "A blogging dads group. So crazy it just might work" I wouldn't have had this experience. If not for the support and inspiration I gleaned from his group I may not have written your favorite post on this site. All the things I've posted in the last year might have remained stray stubs of thought rattling around my head along with random baseball statistics and grocery lists. Instead, they're here. I'm here. You're here. One of the themes of the conference was legacy. The Friday keynote speaker, Brad Meltzer noted that your résumé fades after you die, your legacy is determined on the impact you have on the people around you. He's right, but I think there's room for both. The dad bloggers group is part of Oren Miller's résumé. It's also an artifact of the impact he's had on the people around him. It feels weird to say, because I feel like I'm laying claim to something I don't really deserve, but I am part of Oren's legacy. 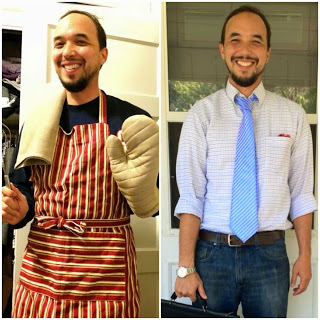 Anything I accomplish as a blogger, any writing that reaches an audience as a result of this space has its roots in the dad bloggers group that he started. Without Oren there's no Interdisciplinary Life. Someone asked the conference attendees what their one missed opportunity or one regret was about the conference was. I didn't answer because I still felt too unworthy to say it publicly. Claiming a little piece of Oren's legacy felt like I might be trying to take it from the people who really knew him. It made me feel like a poser. My biggest regret is that I didn't write this post in the Oren Miller tribute book that was going around the conference, and was later presented to Oren's wife Beth. My biggest missed opportunity was being too afraid to approach Beth after her heart wrenching reading of a letter that Oren had written to himself several years before. I didn't have the confidence to approach her and tell her that even though I never knew Oren, that I owed him, and her, a debt of gratitude. I understand now that by appreciating the community he built, by taking a place with those he brought together, I can never take anything from those who loved him. If anything, I hope they see his legacy being amplified. It still feels weird to write this. As part of Oren's legacy a group of dad bloggers will be walking the length of Hadrian's Wall to raise money for the new Maryland chapter of Camp Kesem. Camp Kesem is a summer camp for kids whose parents have or have had cancer.